The Rosconn Group are currently consulting nearby residents and the Parish Council on a proposal for a new sustainable residential development off Southam Road, Radford Semele. Our plan shows one way the site could be developed. 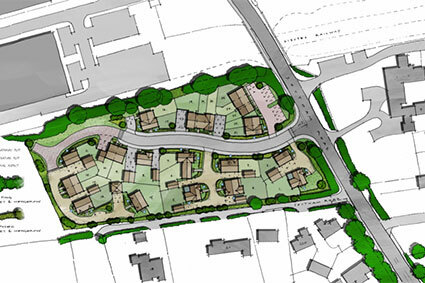 – Up to 25 new homes, with a variety of 1, 2, 3 and 4 bedroom family dwellings, including 40% on site affordable homes. – A new access and footpath off Southam Road. – The retention of existing trees and hedgerows. – The creation of an attractive new development that responds positively to its surroundings. Having open views, new hedgerow & tree planting and informally arranged dwellings set back from the existing properties on Southam Road. A number of technical studies have been commissioned to help us understand the site and the surrounding area. Local knowledge of the site and surrounding area is very important and key to helping us shape the design of the site.